Welcome to Humanitas Bilingual School Tres Cantos, an educational centre whose personality prioritizes the importance of preparing students to be independent, mature, happy and responsible people, individuals who are inquisitive and are able to face the challenges in life; now and in the future. We aim to awaken the desire in our pupils to find their own way, using analysis, their own experiences and real life experience. We encourage them to generate their abilities and skills through their training in an integral education that will lead them to academic, personal, professional and social excellence. We invite you to come and visit life at our school so that you consider our centre as an alternative school in the area. The school is characterized by its educational project inspired by humanistic values; those which promote an international environment, through its bilingual system Spanish / English + Chinese. The project is oriented to consider each child and family individually, with a compromise to innovate education and pedagogy. We offer a wide variety of activities in our extra-curricular and after- school projects, which are aimed at raising self-esteem and appreciation of the pupils’ own efforts and those of others. ‘Know, do, and be’. 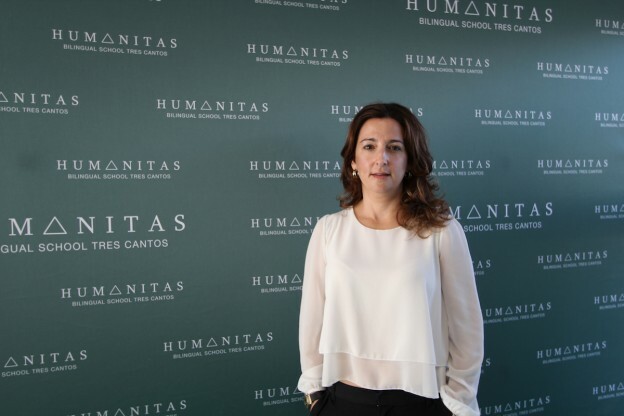 Our intention is that the personality and character of Humanitas Bilingual School Tres Cantos serve as an impulse for the whole of the educational community that adequately satisfies the expectations and perspectives held by all the families who deposit their trust in our school. On our web page you can find further details about HBS; see the installations and read about the project, however, we would like to invite you to come in personally and experience the essence of our school for yourselves.